The Prosecutor General’s Office’s requests to the Parliament for permission to bring judges to trial have to be justified much better than they are today. This was stated by Vice-Speaker Oksana Syroid during the briefing. Otherwise, the Verkhovna Rada will then be forced to witness those judges occupying their positions again. “Unfortunately, I’m not sure that in the current request of the Prosecutor General’s Office there will be enough arguments to call to account those three judges of Pecherskyi court who were making illegal decisions during the Revolution of Dignity,” – stated Oksana Syroid. The MP stressed that the decisions and actions of the Prosecutor General’s Office in investigation of the activities of these judges should be as reasonable as possible. “This is necessary to ensure the implementation of such decisions of the Prosecutor General’s Office in the future and to ensure the inevitability of punishment for these judges,” – emphasized the Vice-Speaker. 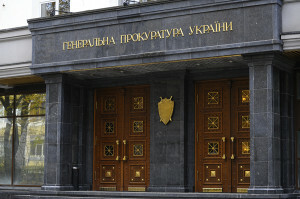 In her opinion, there are a lot of reasons and evidence for the Prosecutor General’s Office to hold accountable not only the dismissed today judges of Pecherskyi court, but many more of them, particularly the judges of Obolon district court of Kyiv, Kyiv Appeal Court and other courts. “Their activities, especially during Maidan, should be the subject of attention of the Prosecutor General’s Office. The fact that the Prosecutor General’s Office hasn’t yet done so is the disrespect for the Ukrainian society,” – believes the MP.